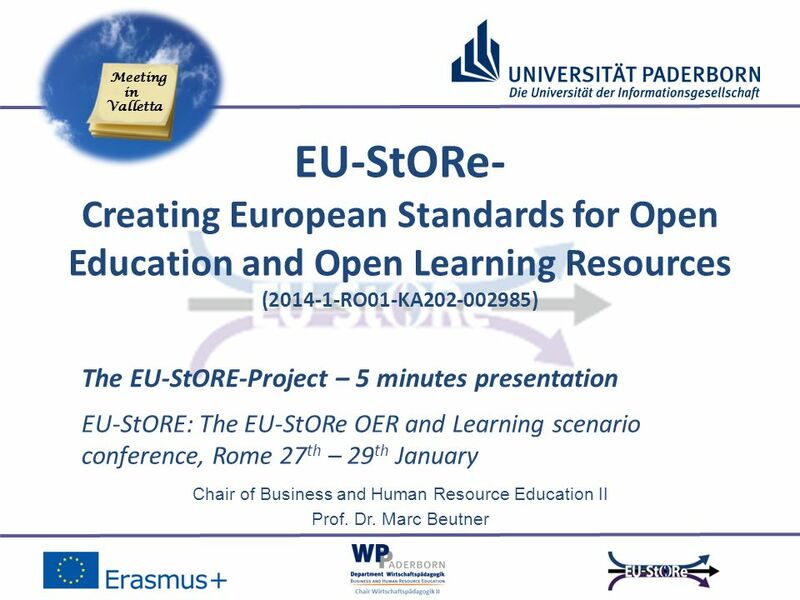 Chair of Business and Human Resource Education II Prof. Dr. Marc Beutner EU-StORE: The EU-StORe OER and Learning scenario conference, Rome 27 th – 29 th. 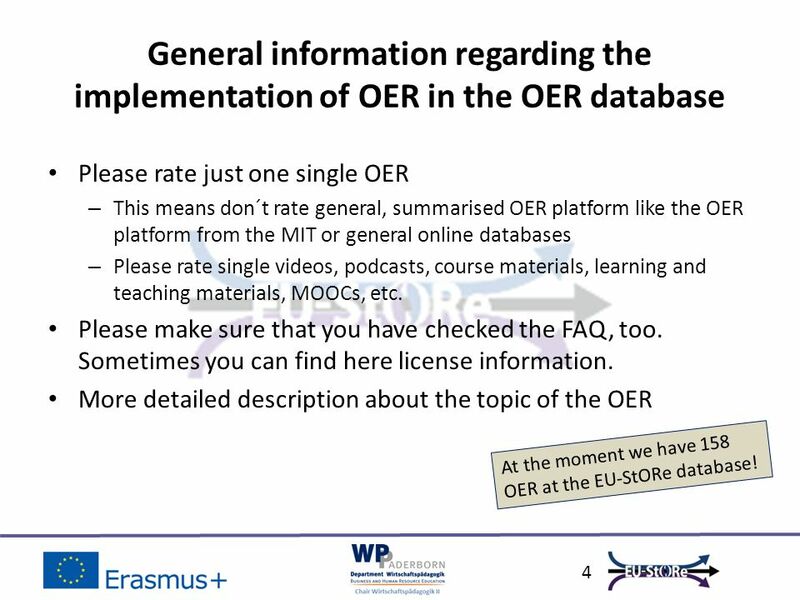 4 Please rate just one single OER – This means don´t rate general, summarised OER platform like the OER platform from the MIT or general online databases – Please rate single videos, podcasts, course materials, learning and teaching materials, MOOCs, etc. 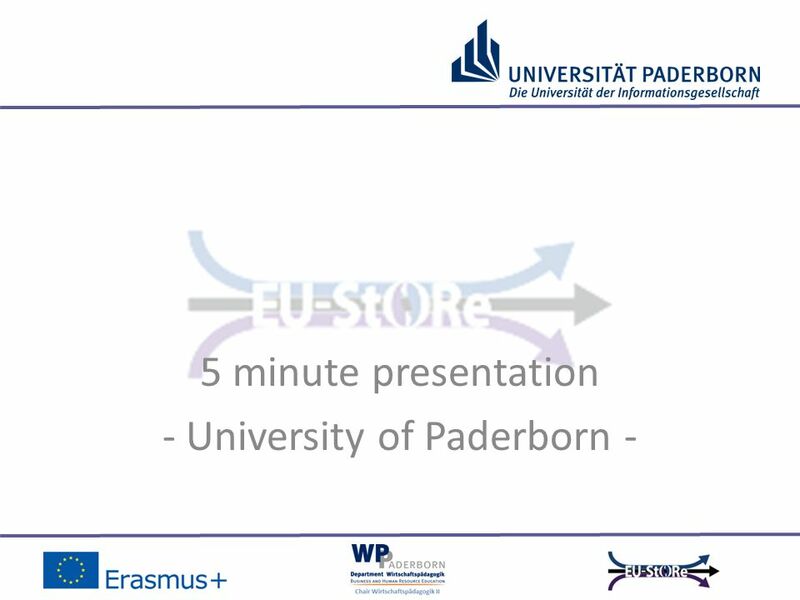 Please make sure that you have checked the FAQ, too. Sometimes you can find here license information. 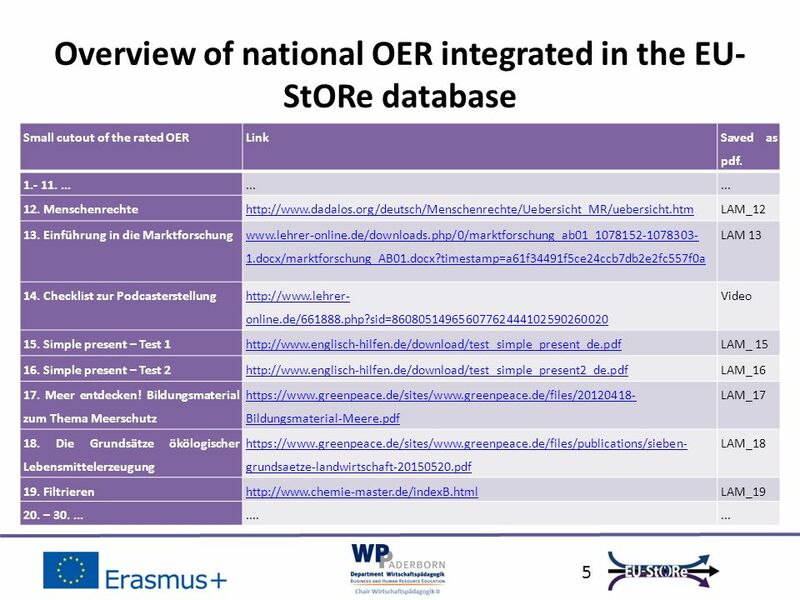 More detailed description about the topic of the OER 4 General information regarding the implementation of OER in the OER database At the moment we have 158 OER at the EU-StORe database! 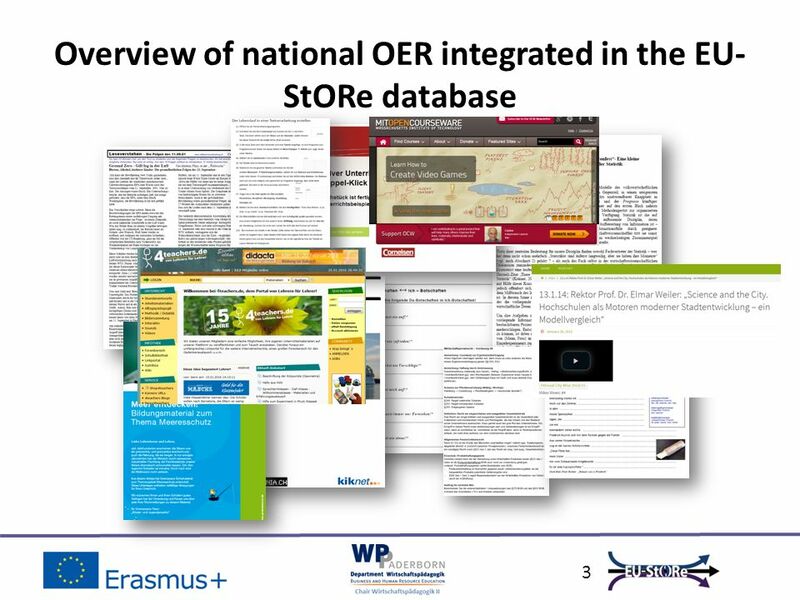 Herunterladen ppt "Chair of Business and Human Resource Education II Prof. Dr. Marc Beutner EU-StORE: The EU-StORe OER and Learning scenario conference, Rome 27 th – 29 th." everybody understand this B a b y ! 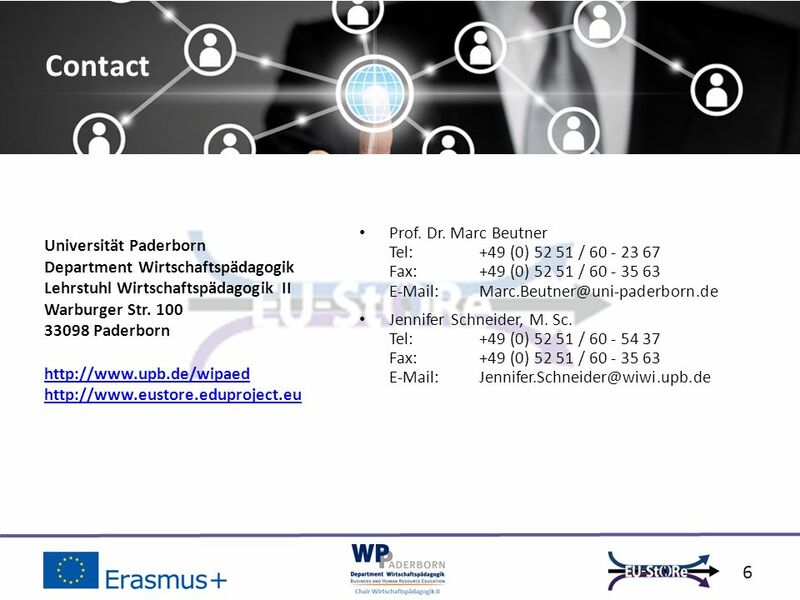 - jeder kann dieses B a b y verstehen!